The biggest cycling stage races of the year are upon us, and that means that the TDF Blog bumps Planet Geospatial from the top of my blogpile. 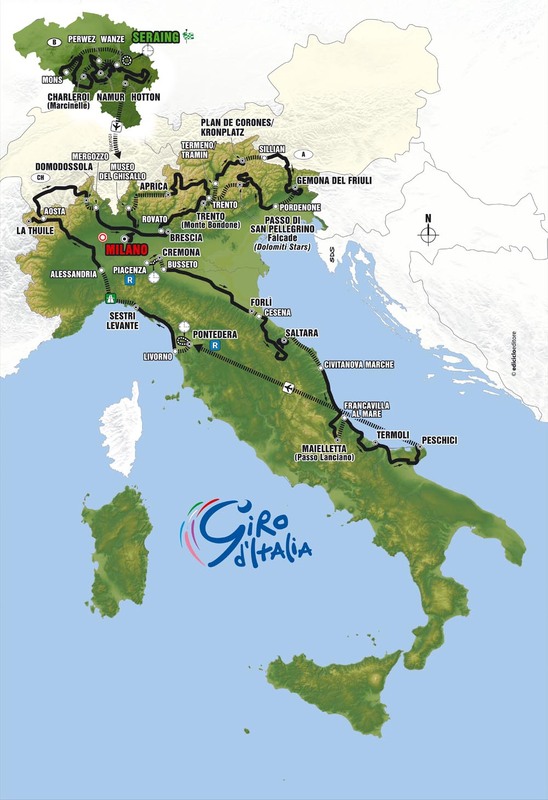 Last year I reviewed the official 89th Giro and 93rd Tour maps, but there's no significant changes this year: the Giro map is a little more brown, the Tour map remains the same gold. The TDF Blog points out that the Tour route is emerging on Google Earth Hacks. By next year, the designers of the race websites will have realized that they need to supplement their drab itineraries and profiles with KML files.